Running alongside the 5th HLF is an exhibition of mathematical art by the astrophysicist Aldo Spizzichino. He’s taken ideas from mathematics, and used his own set of programs (in Fortran, no less) to produce his images, a couple of dozen of which are on display in the Old University building a few steps from the forum. Although all the pieces were generating discussion as I looked round the exhibition on Sunday morning, I’ve picked two to talk a bit about, both based on the same piece of maths. HLF Blogs – Math ⇔ Art: what is a rotogon? Alongside this week’s Laureate Forum, there’s an art exhibition on display in the nearby Old University building. Math ⇔ Art (Math is Art, Art is Math) is a collection of computer-generated artworks by Italian astrophysicist Aldo Spizzichino. 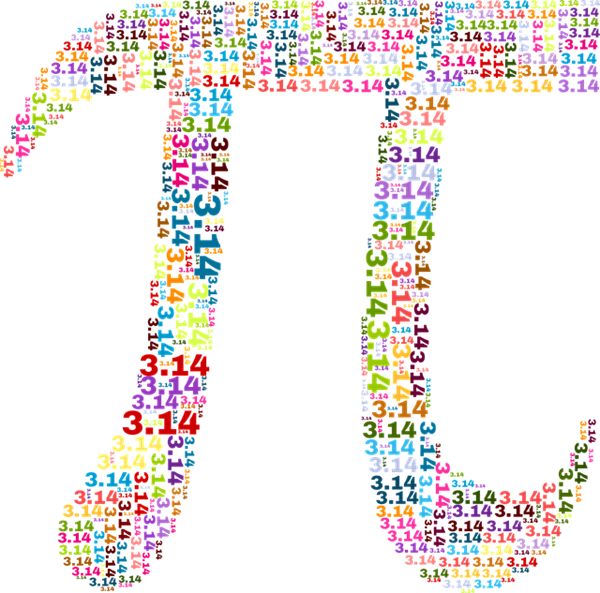 In addition to a long career in research and many publications, Spizzichino has also produced an impressive quantity of mathematical art. Using Fortran to generate computer graphics, Spizzichino has explored many mathematical shapes, structures and ideas through visual representation. The exhibit invites visitors to enjoy the mathematical forms for their own intrinsic beauty and, in Spizzichino’s words, ‘to complete the work with their own interpretation’. 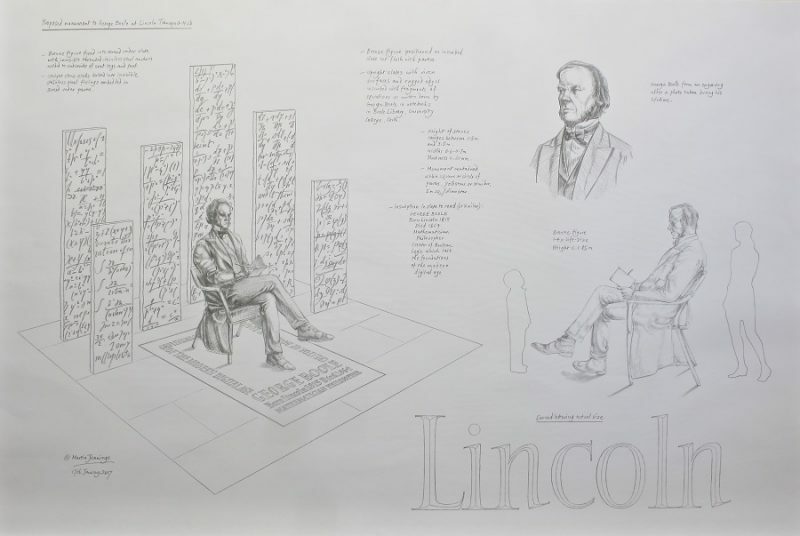 It was George Boole’s bicentenary in 2015, so the Heslam Trust is a bit slow to reveal its plans to erect a statue of the great man in his home town of Lincoln. The sculptors, Martin Jennings and Antony Dufort, have come up with a few designs for the statue, and they’d like the public to vote for their favourite. 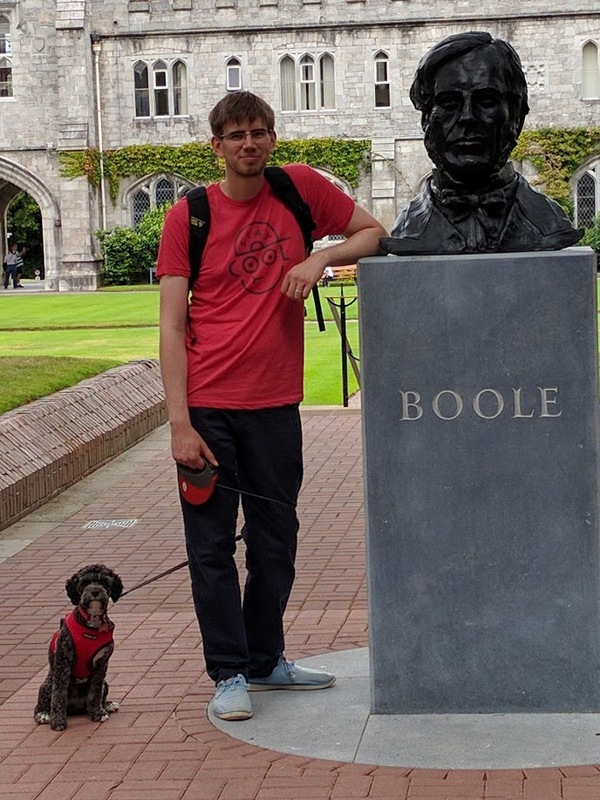 There’s already a bust of Boole in University College, Cork, installed in plenty of time for the bicentenary. Here’s a picture of me and HRH Poppy Dog standing next to it, last Summer. Edmund Harriss is a very good friend of the Aperiodical, and a mathematical artist of quite some renown. His latest project is CURVAHEDRA, a system of bendable boomerang-like pieces which join together to make all sorts of geometrical structures. Here’s something fun you might want to spend some money on: a poster of the Mandelbrot set, in the style of an old-fashioned navigation chart. The Kickstarter has already racked up many multiples of the original funding goal with three weeks still to go, so it’s at the “effectively a pre-order” stage. The posters start at \$26. Kickstarter: Mandelmap poster by Bill Tavis. Chris Watson has written in to tell us about his site, Tessellation Art, where he sells his heavily Escher-inspired prints. They’re available in a range of sizes and media, and quite affordably priced. I particularly like the print above, titled Vortex.